Just received my hardcover and paperback copies of this book. Isn't it beautiful? I am so pleased to be a part of this group of illustrious authors, including Reyna Grande, John Rechy, Luis Rodriguez and Helena Maria Viramontes, and so many others. 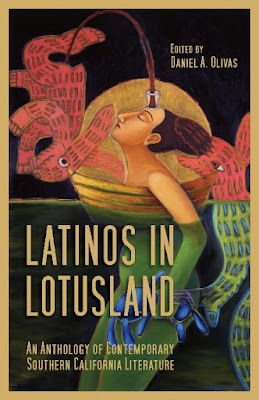 From Bilingual Press: Spanning 60 years of writing, Latinos in Lotusland portrays vivid accounts of complex and entertaining characters that bring to life the diverse and soulful communities that comprise Southern California, from East L.A. to Malibu, from Hollywood to the San Fernando Valley, from Venice Beach to El Sereno. 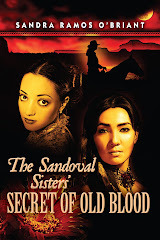 Our editor was the eminent Daniel A. Olivas, an award-winning author of four books. He says, "I grew frustrated with the constant barrage of imagery that portrayed Southern Californians as chronically superficial and greedy . . . I wanted fiction readers to encounter the incredible diversity that is the heart of Los Angeles and surrounding communities." My story is called "Lana Turner Slept Here," and concerns a motorcycle cop and the very pregnant woman he pulls over in Malibu. That is wonderful. The book cover itself looks extremely enticing. Sandra, I am honored to have my name associated with writing such as yours.